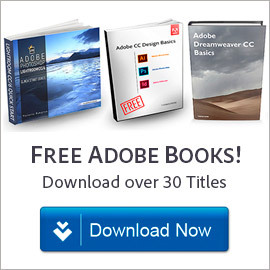 Adobe Acrobat X (Acrobat 10) Now Available For Instant Download! Prepare, protect, and deliver professional PDF communications. Introducing Adobe® Acrobat® X Pro software. Experience the full power of Adobe Dynamic PDF to deliver next-generation PDF communications. Combine a wide variety of file types including video, audio, and interactive media into a polished, professional PDF Portfolio – and then customize your Portfolios with an all-new collection of professionally designed layouts, visual themes, and color palettes. Use the new Action Wizard to automate, standardize, and share multistep tasks. Gain the feedback you need, faster, through easy-to-manage electronic reviews. Search and reuse scanned content with greater accuracy through improved optical character recognition (OCR). Create and distribute fillable PDF forms to collect critical data. Seamlessly integrate PDF files into SharePoint workflows. And confidently store and share documents through easy-to-use services at Acrobat.com. Assemble PDF Portfolios – Quickly assemble a wide range of file types into polished, organized PDF Portfolios using the new PDF Portfolio Wizard. Customize using new professionally designed layouts, visual themes, and color palettes. Import custom PDF Portfolio layouts and themes developed by third-party developers and designers. Automate tasks with the Action Wizard – Save time and standardize processes by automating routine, multistep tasks in a guided Action. Create, manage, execute, and share a sequence of frequently used steps that can be applied to single PDF files or batches of files. Improve scanning results – Scan and convert paper documents and forms to PDF. Export smoothly to Word or Excel formats. Enjoy improved optical character recognition (OCR), up to 50% smaller file sizes, greater image fidelity, and automatic color detection. Integrate with SharePoint – Work seamlessly with PDF files stored in Microsoft SharePoint. Access SharePoint from any Acrobat Open or Save dialog box. Open PDF files from SharePoint for viewing. Check them out to edit, and then check them back in after editing. Streamline commenting – Access markup tools and view comments from a single, unified tool pane. View all comments in a searchable list that can be filtered and sorted by page, author, and date. Create interactive forms – Easily convert existing forms into fillable PDF forms with intelligent form field recognition, or design them yourself using included templates. Track and manage responses within Acrobat. Collect data quickly and export to spreadsheets for analysis. Acrobat X Pro on Windows includes Adobe LiveCycle® Designer ES2, a graphical tool for creating fillable forms for Acrobat, Acrobat Reader, and Acrobat Server products. Extend Adobe Reader – Enable Adobe Reader* users to fully participate in shared document reviews, fill and save forms, and digitally sign and approve PDF documents – regardless of platform or operating system. 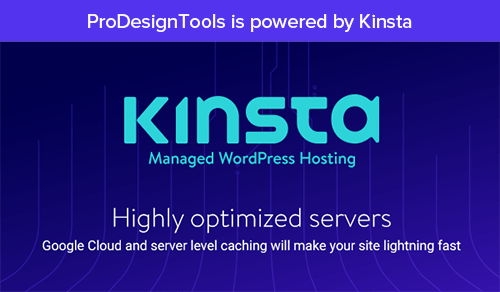 Access frequently used tools – Quickly access the tools you use most – from your favorite PDF document editing tools to your most often used commenting and markup tools – by adding them to the Quick Tools area. Optimize PDF file viewing – Maximize your screen for optimal reading and presentation of PDF files with the new Reading Mode. Menus and panels disappear, and a transparent floating toolbar appears, to help you navigate PDF files more easily. Improved web experience – Open online PDF documents faster and easier to experience streamlined loading and viewing. Work with Office 2010 – Create PDF files with a single click from within the most popular Microsoft Office 2010 applications – including Word, Excel, PowerPoint, Outlook, Publisher, and Access, as well as specialized applications like Microsoft Project and Visio. Permanently remove information – Use redaction tools to permanently delete sensitive information, including specific text or illustrations. Easily find all information contained in a document, including metadata, annotations, attachments, form fields, layers, and book­marks, and delete as needed. Compare PDF documents – Eliminate confusion and improve version control. Easily identify differences between two versions of a PDF file by having Acrobat analyze both files and highlight changes to text and images. Comply with PDF and accessibility standards – Confirm that your documents conform to PDF/A, PDF/E, and PDF/X ISO standards, and fix those that do not. Check and adjust documents to help ensure that they are accessible to people with disabilities. 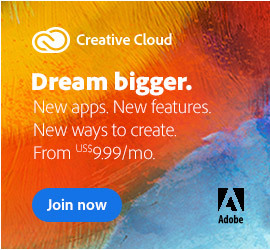 Share files online at Acrobat.com – Use services at Acrobat.com to easily send large files with confidence (Adobe SendNow). Upload documents into your online Workspaces at Acrobat.com to share files with individuals or teams inside or outside your organization. * Reader 9 or Reader X required. Before you choose, consider getting Acrobat X Pro as part of the new Acrobat X Suite. Deliver breakthrough business communications with the ability to quickly capture, edit, and combine rich digital content to create exceptional PDF experiences. 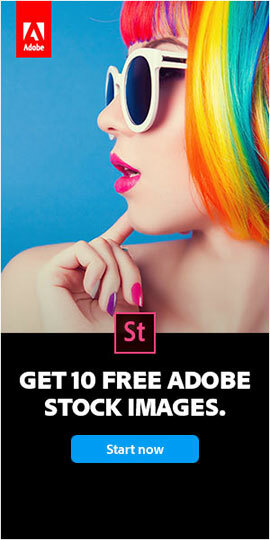 Also includes Adobe Photoshop® CS5, Captivate® 5, Presenter 7, LiveCycle® Designer ES2, and Media Encoder CS5. 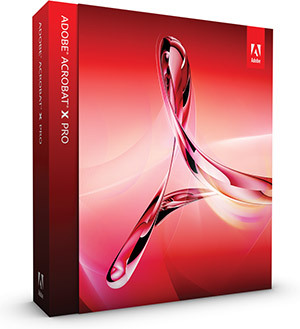 Learn more about Adobe Acrobat X and the Acrobat X Suite, or see the excellent FAQ. Or, download a free trial.